How many times do I have to say it out loud? NewsBlue rocks! With you all the way man. While I’ve been able to replace most of the functionality with my own deployment of TT-RSS, the killing of Reader led me to slowly scale back my dependence on Google and I’m slowly migrating away. First thing I do when I get a new Android device is disable about 50 percent of the apps. Screw Google. I feel you brother. 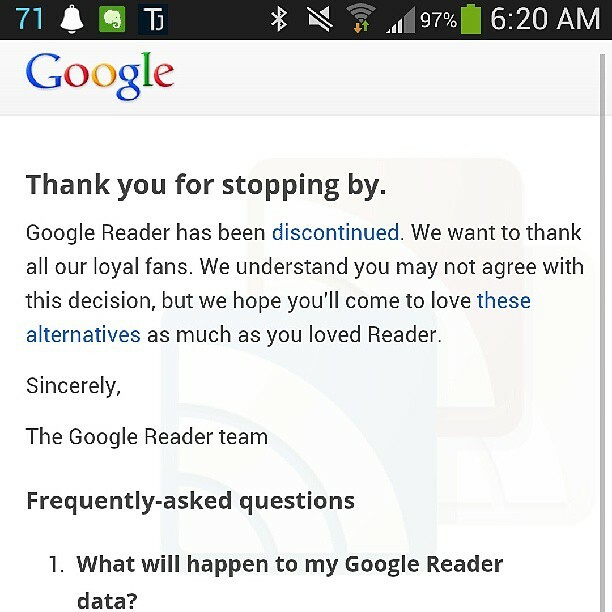 My closest combination is Feedly for the backend (logged in with my Google account) and Press for my devices. It still is not quite the same and I’m missing features Feedly would like me to pay for, but it’s really close when I just want to browse, save, and know that I’ve read through all my articles for the day.